Join us for a 3 day CPD training in nature-based psychotherapy, aimed at qualified psychotherapists/counsellors and those in training who are considering taking their practice outside. 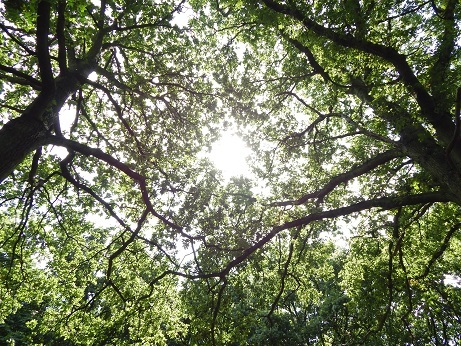 This training will support you in developing an applied approach to the use of nature as a metaphor for our inner world and in using nature as a medium for emotional exploration and connection. The training incorporates the development of our own awareness and connection to nature, anthropological perspectives on the role of nature in our lives, an exploration of emerging theory in the practice of nature based therapy, therapeutic process and practicalities in nature-based therapy, boundaries and risks, the use of metaphor and symbolism, experiential learning and the development of practical nature-based skills. The course will be taught through experiential learning, discussion, seminars, case studies, and skills practice. Course members will be expected to be active participants, willing to work individually, in pairs and as a group. The training days are immersive and will be held in a woodland in south London. All days will take place entirely in outdoor settings. Please wear clothing appropriate for the weather. We will explore the benefits of nature to emotional health, including the latest research, asking why go outside? We will reflect on our own relationship with nature and develop our awareness of the natural world through experiential work. We will consider how working outdoors differs to working inside and the impact on frame, process, boundaries and practicalities. The day will include discussion, seminars, case studies, experiential learning and the opportunity to practice therapy outdoors. We will explore the therapeutic relationship in outdoor work and consider nature’s role as co-counsellor. We will look at the theoretical underpinnings of Nature-based Psychotherapy and explore how your current model of practice can be applied within nature-based work. We will consider the psychological differences between ‘living’ and ‘survival’ and how these insights can be brought into nature-based work. The day will include discussion, seminars, case studies, experiential learning and the opportunity to practice therapy outdoors. We will explore anthropological perspectives on the natural world and our connection to it, including our own myths and rituals associated with nature. We will consider different cultural experiences of nature and reflect on ethnographic case studies on emotional connections with nature. The day will include discussion, seminars, case studies, experiential learning and the opportunity to practice therapy outdoors. Throughout the training we will explore embodied means of developing our own connection to the natural world including methods for reading the landscape and tuning into natural signs for direction in the celestial sphere, plants, animals and the elements. We will consider how these can guide us in developing an embodied sense of time, direction and place and explore how it can be incorporated into practice to ground therapist and client emotionally and geographically. Fees: the investment for the course is £325. CPD: the training carries 18 CPD hours.